The pub gives its name to the nearby Swan Lane. I remember the pub and the demolition when I was a small child. 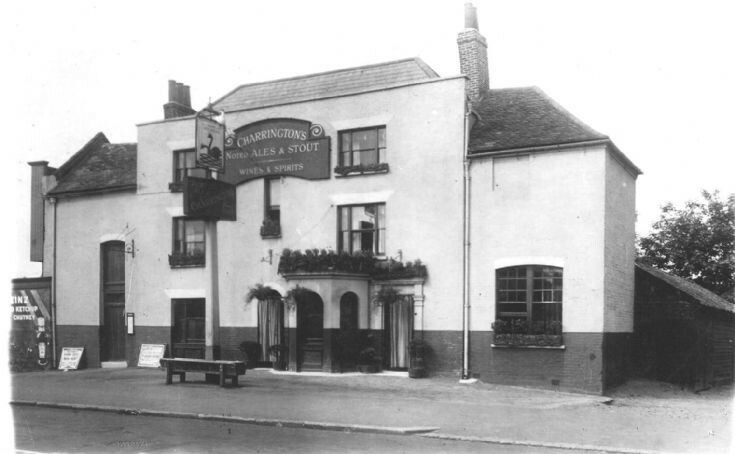 It was on the Barnet side of Swan Lane and next to the grounds of my primary school church St.Johns. Some of the school buildings are still there but not as the lovely school - as I remember it. I visited it a couple or so years ago when I returned to the Finchley for a holiday. I have lived in Adelaide - Australia since 1973. Joseph Curtis Giles managed or owned this hotel, dying 30th March 1950 at The Memorial Hospital Church End Finchley Middlesex. If any one has any information about the hotel around this time I would be really pleased if they would contact me for family history. My parents Leslie Foster Williamson and his wife Elsie Louisa, ran the Swan With Two Necks during late l949 into the 50's,we lived in the accommodation behind and above the Pub, during my young childhood days, we used to attend the services at St John's church. I moved to Melbourne Australia in 1969.